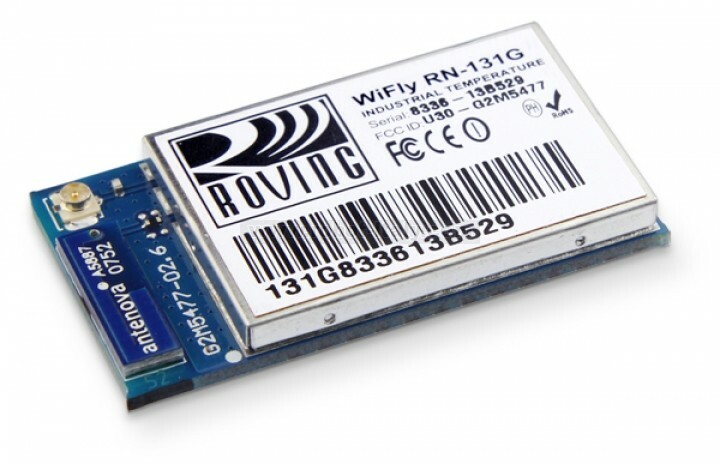 Roving's most popular Wi-Fi module, the RN131C, is a complete, ultra-low power embedded TCP/IP solution. The RN131C incorporates a 2.4 GHz radio, processor, TCP/IP stack, real-time clock, crypto accelerator, power management, and analog sensor interfaces. This complete solution is pre-loaded with software to simplify integration and minimize development time for applications. In the simplest configuration, the hardware only requires four connections (PWR, TX, RX, GND) to create a wireless data connection. The RN131C has all the features and capabilities of the RN131G, but is rated for commercial temperature (0C to +70C). The RN131C is the perfect choice for those looking for a complete, low power, lower cost Wi-Fi module. 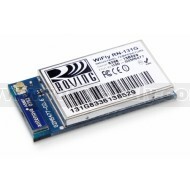 For the developer, Roving offers an evaluation board based on the RN131, the RN-131-EK. This easy-to-use kit quickly adds Wi-Fi connectivity to embedded applications, significantly reducing development time.